Jake Stratton-Kent’s Encyclopedia Goetica is a monumental achievement, but more than that it is of vital importance for practicing occultists, pagans, and all those who fall into both categories. A work spanning three official volumes stretched across five actual books, it is an invaluable addition to occult history, theory, and practice. I intend to offer, in this review, an extensive and careful consideration of the full sweep of the project but if you are waiting for the bottom line allow me to say at the beginning that anyone interested in western occultism and paganism must read these books. They are probably the most impressive occult works to be written in my lifetime. First allow me to provide you with some context. 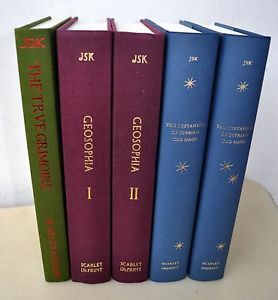 One cannot fully appreciate the Encyclopedia without first understanding its place in the grimoire revival and one can’t consider this revival without considering the vital role played by the publishing company Scarlet Imprint and its subdivision Bibliotheque Rouge. The grimoire revival is a movement made up of numerous practical occultists and occult scholars who are offering a renewed interest and investigation into the grimoire tradition in Europe and the Afro-Caribbean context. The revival is a diverse business but at its heart is the attempt to take seriously the full scope of mainly Renaissance and later popular occult works commonly referred to as grimoires and frequently claiming medieval or ancient origins. 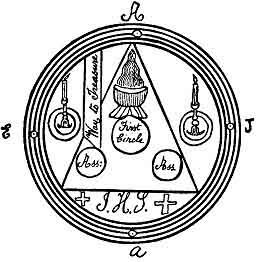 When discussing grimoire magic amidst most practicing occultists the immediate references are likely to be three well known texts: The Greater Key of Solomon, The Lesser Key of Solomon (frequently called The Goetia), and The Sacred Magic of Abramelin the Mage. 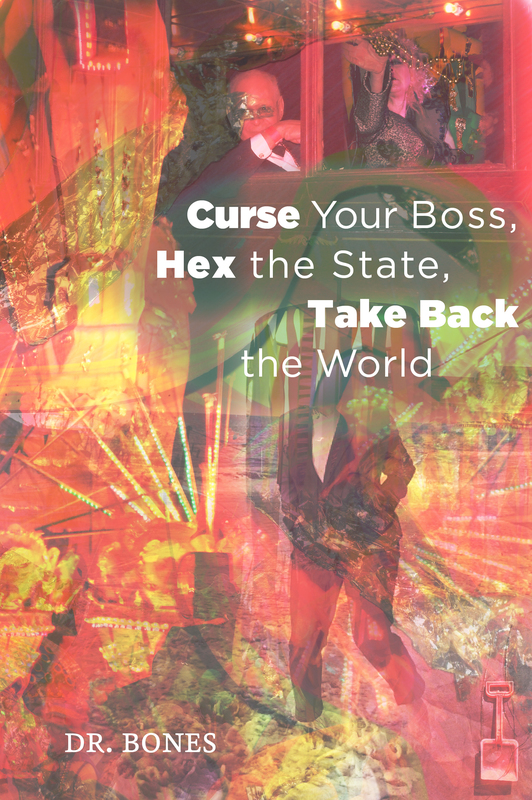 The grimoire revival, on the other hand, seeks to expand its view to take seriously texts frequently underutilized or dismissed by the British and French members of the late 19th and early 20th century Occult Revival (for example Eliphas Levi, the members of the Golden Dawn such as Macgregor Mathers and, of course, Aleister Crowley). 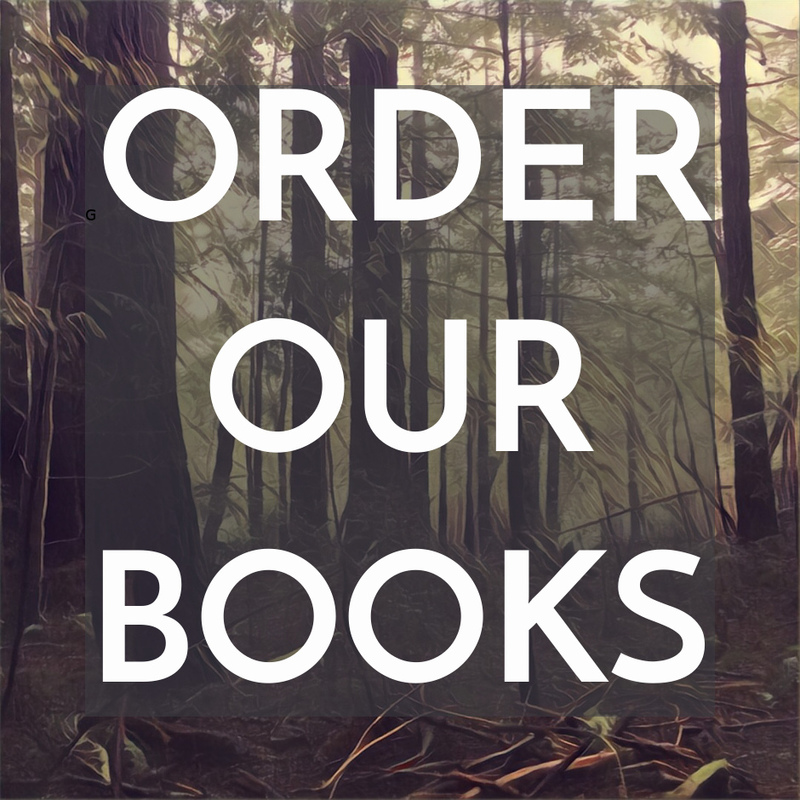 These texts include the incredibly important Arabic Picatrix, the Sworn Book of Honorius, the Black Pullet, the Fourth Book of Occult Philosophy, the Eighth Book of Moses, the Grand Grimoire, and the works which are Stratton-Kent’s focus: the True Grimoire or Griumoirium Verum, the Great Book of Saint Cyprian, the Heptameron or Magical Elements and the Testament of Solomon. The basic argument of the grimoire revival is two-fold. First that the popularity of the three most well known grimoires has obscured some of their inadequacies and thus offered an incomplete understanding of the practices the grimoires are trying to teach and, second, that the neglect of other grimoires has kept us from actually understanding the historical importance and nature of the grimoires themselves. Stratton-Kent’s work, as in my opinion the central edifice thus far of the revival, offers a corrected historical understanding of the nature and role of the magic contained in the grimoires, a far more complete picture of the practical methods to be employed, and frequent corrections to the names and symbols of the spirits employed. It also offers an edition of its own of The True Grimoire (completed through integration with the Grand Grimoire), Great Book of Saint Cyprian, The Confession of Saint Cyprian and the Testament of Solomon as well as numerous selections from the Heptameron or Magical Elements, the Picatrix and The Greek Magical Papyri amongst other texts. The grimoire tradition, as pointed out by Stratton-Kent, primarily shows up in print in two main forms. These are aristocratic texts of primarily angelic magic of Qabalistic/Christian occult theory and the popularly printed texts of the Bibliotheque Bleue genre that were cheap publications for the general public from early modern France (between 1600 and the mid-1800s) with similar types of texts found in Italy, Spain and Portugal. Bibliotheque Bleue and similar publishing businesses offered for the first time texts affordable for, and aimed at, the general public amongst which were many of the “pulp” or “low” grimoires seemingly dealing with treasure hunting, the summoning forth of demons, and the like. 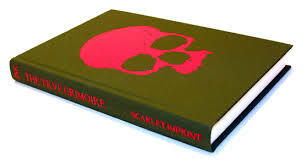 As an outgrowth of the printing press, the appearance of these mass-produced texts was a highly important historical event with which the publishing company Scarlet Imprint has aligned itself with its Bibliotheque Rouge. 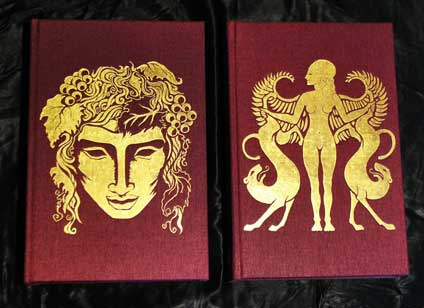 While Scarlet Imprint prints high-quality (and expensive) occult works as beautiful as they are important Bibliotheque Rouge offers affordable copies of the same texts for the general use of the public much as Bibliotheque Bleue did. If Bibliotheque Blue gave rise to the grimoire tradition in modern Europe as we know it, Bibliotheque Rouge seeks to give rise to its rebirth. The occult world is greatly indebted to Alkistis Dimech and Peter Grey, the founders of Scarlet Imprint and Bibliotheque Rouge. Stratton-Kent’s general argument is the following: The grimoires represent a survival of primarily ancient pagan occult and religious practices over which a thin veneer of Qabalah and Christianity has been added. This veneer, including its talk of demons and angels, can be stripped away to uncover the true pagan occult tradition beneath the surface of the texts. This reveals that the grimoire revival, at least as far as it appears in Stratton-Kent, is at the same time a great pagan revival which recognizes pagan religious practices at the very heart of all of Europe’s occult tradition and history. Magic, to put it too simply and bluntly while perhaps overstating the point, is really pagan and was dressed up in monotheist clothing for many reasons including practical political concerns such as avoiding the stake. The full scope of this argument will involve tracing the grimoires back to The Greek Magical Papyri, restoring the central role of necromantic dealings with spirits of the dead to occult practice, and exploring the promising connection between the use the grimoires have been put to in an Afro-Caribbean context preserving the native paganism of the Americas and Africa beneath a Christian cover and the actual origins of the grimoires themselves in a similar process. Ultimately we find the grimoire practices to consist of a surviving ancient shamanism like that practiced by ancient goetes (a Greek term from which goetia derives, frequently applied to non-aristocratic wandering magicians practicing a pre-classical form of ancient paganism). The Encyclopedia Goetica consists of three volumes: The True Grimoire; Geosophia: The Argo of Magic, From the Greeks to the Grimoires; and The Testament of Cyprian the Mage. The first consists of one book and the second two volumes consist of two books a piece. The first and last volume (The True Grimoire and The Testament of Cyprian the Mage) are the most practically minded and focus primarily on exploring actual grimoires and their underlying meaning. Ultimately The True Grimoire is the text most easily applied to occult practice and I have used aspects of it over the last few months with rather striking results. The Geosophia, on the other hand, is the most theoretical and historical of the volumes and lays out in excellent and careful detail the nature of the ancient shamanic tradition of the Goetes that Stratton-Kent is uncovering in the grimoires. The True Grimoire and Testament will teach you how to do things while the Geosophia teaches what exactly you are historically doing and why. Stratton-Kent starts his Encyclopedia with an investigation of the The True Grimoire for several reasons. First, as he convincingly argues, it is the most complete version of the original lost text or collection of sources/traditions on which The Lesser Key of Solomon, a.k.a. the Goetia, and the Grand Grimoire are both based. In fact, The Lesser Key is likely derived from The True Grimoire. (It is worth noting, however, that Stratton-Kent rejects the ultimate claim that there is one originating text that is the true Key of Solomon which has been lost, instead he presents the idea that the title Key of Solomon marks more of a genre with interconnecting sources.) By combining The True Grimoire and the Grand Grimoire Stratton-Kent is able to complete the full spiritual hierarchy of the original manuscript with a total of 79 spirits and the full meaning of their differences in rank and relationships of authority, ruler to subordinate. This clearly deflates the common attempts (in which I have participated myself) to correlate the 72 spirits of The Lesser Key of Solomon with the 72 angels and names of God derived from the Qabalistic Shemhamphorasch. This, similarly, removes one common piece of support for a monotheistic understanding of the grimoire tradition while deflating the focus on The Lesser Key of Solomon. Second, The True Grimoire includes practical methodological details lacking in the other versions of the text. The two key aspects here are the presence of an intermediary spirit used to get in touch with all the other spirits of the text and the use of the “Armadel” method about which I will say more in a moment. The intermediary spirit is known as Scirlin who acts as the door-keeper and messenger of the other spirits. Stratton-Kent is quick to point out the overlap here of the intermediary role played by figures such as Legba and Exu in Afro-Caribbean traditions; Janus, Hecate and Anubis in ancient Greek, Roman and Egyptian traditions; and, of course, the Holy Guardian Angel in The Sacred Magic of Abramelin the Mage. There is also an overlap with the role played by Uriel in another part of The True Grimoire entitled “Divination by the Word of Uriel” in which the angel is used to contact any spirit (though likely primarily the spirits of the dead, considering Uriel’s frequent role as Angel of Death) the magician wishes. This use of an intermediary is, Stratton-Kent argues, an ancient pagan methodology whose neglect both obscures the ancient pagan pedigree of the grimoires and impoverishes the coherence of the ritual procedures of texts lacking it. The Armadel method is largely what we have come to understand as skrying: the use of a bowl of water, ink, crystal or mirror for the attainment of visions. In The True Grimoire this method is used by calling spirits into the skrying surface, a practice which plays such a large role for example in the Enochian work of John Dee and Edward Kelley. This presence of skrying in The True Grimoire is important for several reasons. First, it allows the text to offer two methods for contacting spirits: the standard evocation using a traditional circle etc. and the use of skrying. Second, it shows up in The True Grimoire as one of the first and oldest presentations extant of the method in the grimoires thus stressing the important of this particular grimoire for occult history in general. Third, and finally, it offers yet another tie to the ancient pagan world. The discussion of skrying brings us to one of the central pieces of Stratton-Kent’s overall argument, namely that the grimoires represent the survival of occult methods found in the ancient Greek Magical Papyri that themselves, Stratton-Kent later argues, represent preservations of even older pagan religious practices. 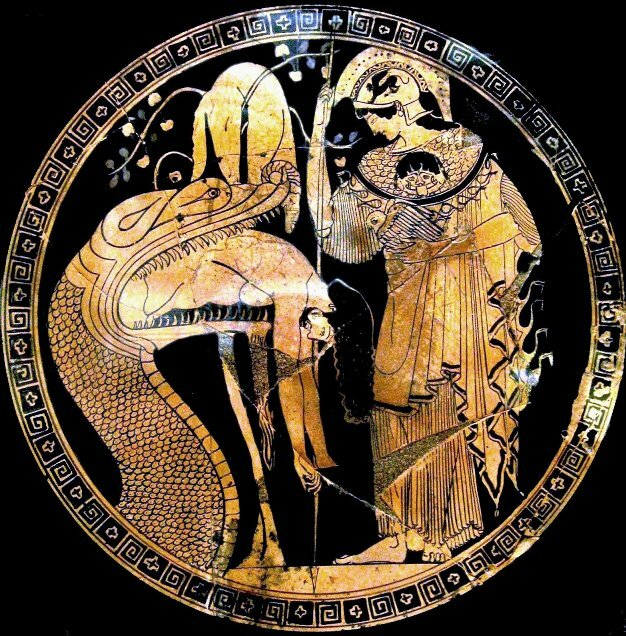 I will say more about this second part of the argument in my discussion of the Geosophia but, for now, let me discuss The Greek Magical Papyri and the presence of skrying within it along with Stratton-Kent’s fascinating speculation as to the intermediary role skrying plays within the history of the development (or decline) of pagan religion. The so-called Greek Magical Papyri are a collection of magical texts dating approximately from the seven hundred year time period stretching between the second century B.C.E. to the fifth century C.E. The papyri are the product of several different periods of cosmopolitan cultural interaction and blending throughout the Mediterranean region deriving largely from the cultural unification provided by the conquests of Alexander the Great which lead to the exceptionally culturally diverse Hellenistic period of Ancient history and, of course, the complex cultural mixing of the Roman Empire. As the product of these cosmopolitan eras the papyri are not exclusively, or even individually, Greek despite their common name. They are written primarily in the Greek, Demotic and Coptic languages making them just as much Egyptian Magical Papyri as Greek ones and there are signs of both translation from Egyptian languages into the Greek and from Greek into Egyptian languages. But even this dualism is inaccurate as the texts are almost entirely syncretic, i.e. they openly contain and unify elements of almost every culture and religion involved in the cosmopolitan eras from the obvious Greek and Egyptian to Hebrew, Christian, Roman, Zoroastrian and many other Middle Eastern and Mediterranean cultures besides. It is not at all unusual to find in them, in fact it is rather the standard procedure, Hebrew and Christian names of God and angels blended with invocations of Apollo and Horus. It is Stratton-Kent’s argument, and a pretty conclusive one at that, that the Grimoire Tradition is a survival and development of the eclectic blending of traditions represented in The Greek Magical Papyri. 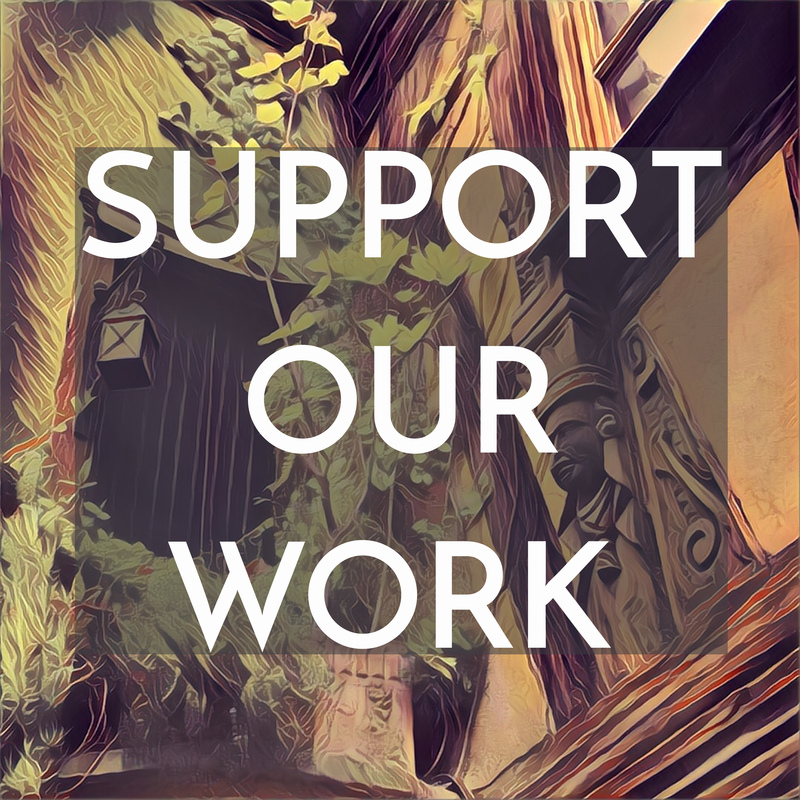 In the Geosophia he will go further back in history to investigate the nature and origin of the Papyri practices themselves, but for now this should be a sufficient discussion of the subject. To establish the link between the early modern grimoires, especially The True Grimoire, and the Magicial Papyri Stratton-Kent focuses on the topic of skrying, i.e. the Armadel method. This method shows up extensively within the Magical Papyri and in a form closely resembling that of The True Grimoire. Most simply the method is as follows: the magician or the magician and a seer that has been selected for the job sit with a skrying surface (water, ink, mirror, crystal, etc.) and an intermediary spirit is called into the surface (Scirlin, Uriel, Anubis, etc.). This intermediary then brings forth at the magicians request the other spirits whose presence is desired. The unification of the intermediary spirit and the Armadel method are, as Stratton-Kent explains, a central structure of The True Grimoire and likely also a missing or unstated key aspect of many of the other grimoires. In the Magical Papyri there is usually a bit more involved in this ritual. The intermediary spirit, once it appears, is first asked to set up a ritual scene. Often the request is for the spirit to set up a banquet with a set amount of chairs and so on. Then the spirit invites in a company of the gods, or spirits, to feast and celebrate after which the desired spirit can be spoken to for whatever purposes the magician has in mind. This method can similar be applied to the spirits of the dead as well. What makes this aspect so fascinating is, as Stratton-Kent points out, the extent to which it provides the performance of a full sacrifice and pagan ritual without the use of an actual temple, offering and so on. In other words, it places the role of pagan priest into the hands of the magician and allows a full large-scale religious ceremony to be performed in one’s own study. One can see the value of this, for example, for pagans living far from city centers with their own temple precincts and staff of priests or for those living in a context (political and social) which no longer facilitates or allows for the full practice of old collective pagan ceremonies. The common occult method of skrying, then, arises from a development, or decline, of standard pagan ceremony once the open practice of the various cults of the gods became for many reasons no longer as accessible. These elements of The True Grimoire allow Stratton-Kent both to make a powerful argument that the entire grimoire tradition must be understand from the foundation of the Magical Papyri and that the practices from those Papyri are necessary to complete the missing elements of the grimoires. It also makes clear the pagan, or at least wildly syncretic, nature of the grimoire tradition though the argument will push beyond this in the Geosophia. On top of this complex and powerful argument, Stratton-Kent’s The True Grimoire is useful because it provides us with a completed version of the text and system along with extensive discussions of the origin of various important spirits. This unpacking of the origin and nature of the grimoire spirits continues throughout the Encyclopedia Goetica with, for example, an extensive investigation of the spirit Astaroth and her (yes, her) derivation from the Semetic goddess Astarte, her relationship to the Sumerian goddess Inanna and the Greek Hecate and Artemis, and so on while the first book of The Testament of Cyprian the Mage contains similar extensive investigations into the history, derivation and nature of spirits such as Asmodeus and Oriens. Finally The True Grimoire concludes with a discussion of the connection between the grimoires and Afro-Caribbean traditions in the Americas including a brief presentation of the influence and overlap of spirits from the grimoire with the Exus of the Brazilian cult of Quimbanda which derived several of its symbols for the Exus from the symbols for the spirits in The True Grimoire. The two volumes of the Geosophia are exceptionally rich. In fact, I can’t help but understate the impressive achievement these books represent. Were the rest of the Encylcopedia nonexistent the Geosophia would stand as an invaluable work on pagan and occult history in its own right. I have studied ancient culture and philosophy extensively at both the college and graduate levels, I have presented and published on ancient philosophy in an academic context, and still there was much in the Geosophia that was surprising, innovative and exciting. If I were to criticize the work it could only be for containing too much – it is a work that requires repeated and careful study – and so I cannot hope to offer anything near a complete presentation of its content. It will have to suffice to present those key aspects I found most interesting and valuable while presenting those necessary elements for carrying Stratton-Kent’s argument forward. Before I do so, however, let me point out that those of my readers who are most interested in pagan religion, practices and history rather than the contemporary use of grimoires will be best served by the Geosophia rather than the other works. You are bound to find some rather striking insights about the history and nature of Ancient Mediterranean paganism. The overall purpose of the Geosophia is to offer in investigation into the history of goetia and its origins understood as a distinct occult and religious tradition. The books themselves are organized via an investigation of the journey taken by Jason and the Argonauts as presented in the Hellenistic epic the Argonautica written by Apollonius of Rhodes who was a librarian at the great library of Alexandria. The mythic journey of the Argonauts provides a basic structure to the book as it provides a narrative line allowing Stratton-Kent to investigate the history and traditions related to the various heroes involved, locations visited and events undergone in the text. The broad strokes of Stratton-Kent’s investigation is the uncovering of the nature of the goetes, or ancient shamanic magicians from which the term Goetia derives, through the presentation of an extensive conflict in the ancient world between Chthonic and Olympian religion. The main argument is that the older religion, from which much of the mystery cults derive as well, was primarily focused on the earth, underworld and spirits of the dead. It was also largely a localized religion with distinct variations based upon the history, heroes and gods of given populations. These ancient chthonic religious variations were also, if I might say so, largely the religion “of the people”. With the rise of the city-state, however, new political forces attempted to achieve cultural unity and power via a transformation of the more diffuse local cults into the official Olympian city centered religion of the Classical era. The move from Chthonic to Olympian religion transformed the character and meaning of many gods, and some of the most important older gods were also derided and given lower rank in the new pantheons. I’ll offer two of Stratton-Kent’s main examples though he offers numerous careful and important aspects of this process. Apollo, now known as a sun god of the Olympian pantheon, doesn’t really seem to fit this role. Stratton-Kent points out, for example, that Apollo is primarily depicted with a silver bow that is a rather odd accouterment for a sun god. It seems to more easily fit a chthonic or lunar correspondence. Furthermore, within the oldest depictions of Apollo, for example that of Homer, no mention is made of Apollo’s solar nature but instead he seems to be depicted primarily as a warrior god of disease. In Homer the only sun god discussed is Helios, which of course provokes the question why another sun god is necessary. As a darker more Chthonic warrior god of disease we see Apollo’s older meaning before it was transformed into that of a solar god. The god Hephaestus undergoes transformation as well, and this transformation is central to Stratton-Kent’s argument. Hephaestus is a rather laughable character in the Olympian pantheon. He is crippled, the gods are often literally depicted laughing at him, his wife cheats on him with other gods, and so on. This official role, however, belies his massive importance and widespread popularity as a very important god in local cults. In fact Stratton-Kent argues that Hephaestus is one of the most important gods of the older Chthonic religion and ties this into an argument that the older religion and its wandering goetes practitioners derive from the religio-magical cults of metal working tribes throughout the Mediterranean and Middle-Eastern world. This is, similarly, the origin of the classes of prophetic and metal working heroes-become-gods known as the Dactyls which feature prominently in Stratton-Kent’s argument. Phrygia plays a central role in this regard. As Stratton-Kent presents it, the practice of the goetes predates and extends well beyond Greece and Rome while, nonetheless, providing the basis of both civilizations’ original religion. It is for this reason that I keep using awkward phrases like “Mediterranean and Middle-Eastern religion” rather than talking about, for example, Ancient Greece exclusively. Stratton-Kent’s history and vision refreshingly extends well beyond these stifling and artificial boundaries. We see this, for example, in his connecting the origin of Apollo to the same origin of the angel Michael, namely the Canaanite warrior and plague deity Reshef. Stratton-Kent’s argument expands beyond gender boundaries as well as regional ones. He focuses extensively on a discussion of each of the numerous female prophet-sorceresses known as the Sibyls. Here we see the goetes as female and male regional and traveling shamans. One way to understand Stratton-Kent’s argument is to see that while Betz’s description of the character of the culture of the papyri is correct he is incorrect in the suggestion that this represents a new religion. Instead, Stratton-Kent demonstrates, the papyri represent something of a survival and renewal of the old Chthonic religion which predates the official religions of the various cities and nations of the Classical era. Of course the syncretism of Hellenism and Rome add new names and dimensions to the practices, but it is important to recognize the extensive syncretic nature of the earliest aspects of the old Chthonic religion as well. To return to the grimoire tradition, then, we can say that if the grimoires represent a survival of the tradition of the Magical Papyri and these papyri similarly represent a survival of the pre-Classical religions then the grimoire tradition of goetia is the continuation of the Mediterranean and Middle-Eastern’s oldest, even, primordial religious practices. The oldest religion, then, is goetic magic and it is deeply necromantic, focusing extensively on dealing with the dead. In this regard we can state that the spirits of the early modern grimoires such as The True Grimoire are each one of three things. They are elementals, spirits of the dead especially past heroes, and pagan gods and goddesses, keeping in mind of course that frequently these categories overlap with gods having elemental aspects or being derived from the deified dead. Amidst the process of presenting this larger historical narrative Stratton-Kent offers us innumerable valuable insights and details about magical and pagan traditions and practices. Amongst these are, for example, the argument that the role played by two recurrent types of magical operations in the grimoires are not at all what they might seem. The grimoires frequently include types of magic to find buried treasure and achieve invisibility. Stratton-Kent presents the interpretation that these are, in fact, the remains of old rituals of shamanic import designed to achieve access to the underworld. The underworld, traditionally populated with various guardians and dangers, could be accessed through spells to find “buried” (i.e. underworld) treasures and the protective role of invisibility which would allow one to sneak past, as it were, the underworld guardians. A similar fascinating discussion revolves around the history and role of volcanoes as doorways to the underworld and the unique genre of volcano magic that shows up in the grimoire tradition. Stratton-Kent provides interesting examples of this volcano magic. Finally, as an additional step in the movement from the magical papyri to the early modern grimoires Stratton-Kent discusses the role of the 10th or 11th Century Arabic grimoire the Picatrix and its presentation of astrological occult lore including, for example, the lunar mansions and planetary hours of the day and night. Towards this end Stratton-Kent inserts into his text useful selections from the Picatrix itself. Where The True Grimoire represents the French and Italian segments of the grimoire tradition the move to a discussion of the several grimoires related to Saint Cyprian serve the role of shifting to the Spanish and Portuguese aspects of the tradition that have played a massive role in influencing the occult traditions of the Afro-Caribbean and South America. Stratton-Kent’s investigation of the history of Saint Cyprian, the several grimoires connected with his name, and the question of what would have influenced the thought of and populated the book shelves of the mythical Saint Cyprian and the compilers of his history provides Stratton-Kent with the opportunity to discuss the history stretching from the writing of the Magical Papyri to the Renaissance beginnings of the grimoire tradition proper. The goetic tradition derives its negative connotation from an extensive history of rather literal demonization. The spirits and gods are turned into demons and the practice itself is set off from “respectable” occult practices. The start of this division is the war between the Chthonic and Olympian religions in the ancient world but its Hellenized and early Christian version arises in the conflict between goetia and its generally neoplatonic opposite, theurgy. Theurgy is generally understood to be the art of uniting with gods or God, climbing as it were the ladder to the heavens, while goetia is commonly understood as the art of working with demons and is grouped along with necromancy, or working with the dead. We get here a clear contrast between the higher and lower, the divine and demonic. The contrast between theurgy and goetia is, however, the history of a deception as Stratton-Kent’s work in Geosophia has well prepared us to see. If the origin of the “demons” of goetia is gods and the deified dead then goetia is frequently about contact and/or union with the divine. Another distinction between theurgy and goetia is based on the “lowly” or worldly nature of goetic goals. But, as Stratton-Kent demonstrates, theurgy often enough aimed at various worldly goals as well while, on the other hand, goetia can be understood to itself have higher religious and eschatological goals (and, of course, most of the lowly worldly goals of goetia are hardly what they seem). We can see this particularly clearly when we consider that theurgy largely develops from the mystery cults of the ancient world while these cults themselves developed from the earlier practices of the goetes. Allow me to offer an illustration of some of the eschatological/religious goals of goetia that have to do with the nature of the dead and the underworld. In Homer’s depiction of Odysseus’ journey to the underworld we get to see the fate of most of the spirits of the dead. In general the dead find themselves in a rather sad state, they become speechless and personality-less shades. But this is not the fate of all of them. The prophet Tiresias, for example, is able to maintain his wisdom and identity in Hades along with many humans who become unworld judges and other honored figures. This becomes a main goal of the ancient mystery cults and goetia, the ability to maintain one’s full existence into the afterlife. The path to this goal was often laid through a process of “dying” in life through initiation and shamanic visionary experience. When one visits Hades while alive one prepares to remain, in some sense, alive when one goes there in the afterlife. This is the sense in which not all souls are immortal but one can become immortal through proper magical training and experience. It is worth noting there is a strikingly similar argument in favor of the benefits of philosophy that Plato’s depiction of Socrates offers in dialogues such as The Republic and the Phaedo. We see methods for achieving this after-life immortality in goetia, mystery cult and theurgy alike. In regards to this Stratton-Kent offers a rather interesting discussion of the Pre-Socratic philosopher Empedocles and his claim that his philosophy could make people immortal. Rather than responding in the common way that many philosophers do and take this as an absurd exaggeration on the part of the philosopher, Stratton-Kent takes it seriously as addressing the otherworldly immortality that goetic practice can provide. The other aspect of this goetic necromantic working with the dead involves the “higher calling” of helping those who have died without the benefit of proper preparation. In other words, one of the key works of the goetes is the “laying of ghosts”, i.e. bringing about the “salvation” of the unhappy, violent or listless dead – these most often include those who have died from violence, without appropriate burial rites, or prematurely before their roles in life had been fulfilled. 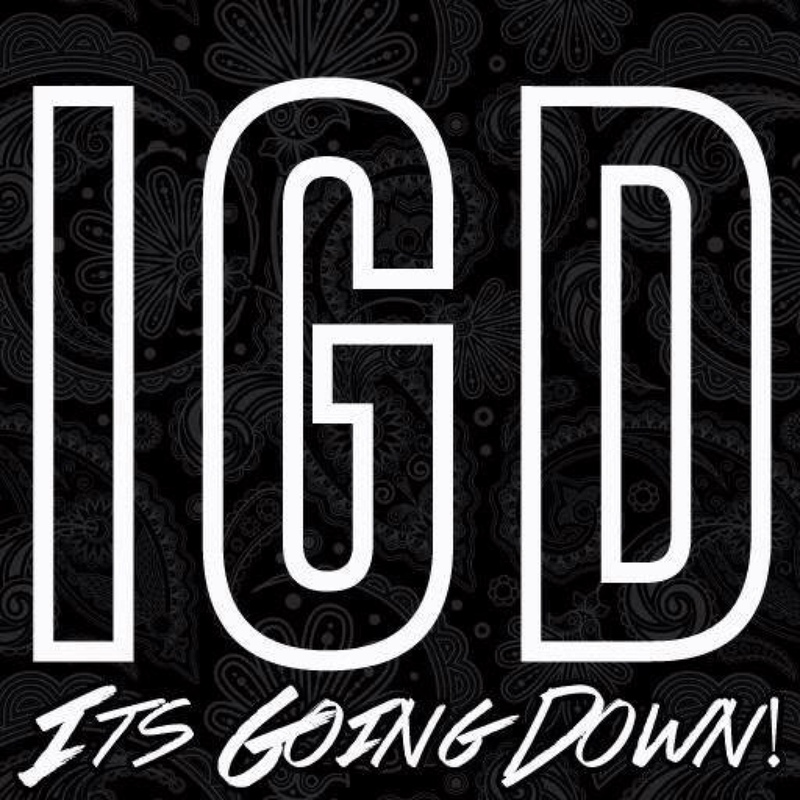 As the goes can prepare the way for herself and others in finding advancement in death, so too can the goes do this work for those who are already dead although the process is likely much more difficult. This provides goetia with a truly noble role in the negotiation of the relationship between living and dead. 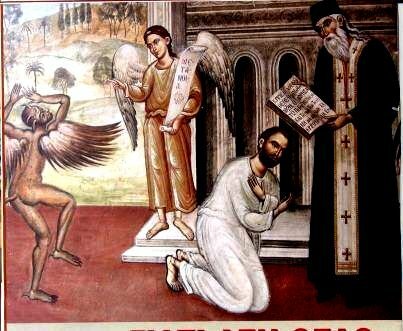 The connection between goetia and the salvation of the soul can be uncovered as underlying the most demonized of all if its aspects in the Christian context, the role of the infamous “pact with demons”. Stratton-Kent makes clear that this pact in the grimoires is best understood along the lines of the concept of “conjunction” with divinity. This can be considered from several angles. First, magic throughout its history from the ancient world through to the 19th and 20th century occult revival has always been understood to involve the identification with gods and heroes. We become one with the gods through their invocation, literally by “calling them in” to us, and magic is largely achieved through the power that union with the gods and spirits brings about. This goes hand in hand, of course, with our own spiritual improvement as well. When we form a pact with a spirit we join with it and are improved through this conjunction. Far from the dark contract through which one sells one’s soul to achieve worldly benefit, the pact involves a loving joining with a frequently more advanced spiritual entity. We see this process perhaps most clearly in the Afro-Caribbean traditions in which rather striking unity with gods and spirits is the fundamental aspect of the tradition’s methodology. 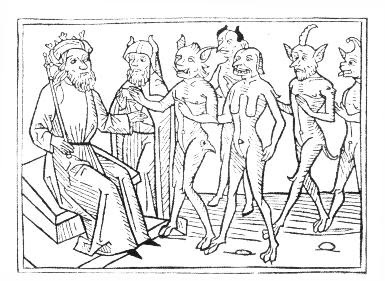 The discussion of the grimoires and texts associated with Saint Cyprian locates itself soundly within the war between Christianity, Theurgy and Goetia because several of these texts are written with the goal of rejecting and demonizing Goetia. Despite this, Stratton-Kent is able to draw extensive insights into the practice of goetia from these texts. There are a few other practical aspects to the content of The Testament of Cyprian the Mage that I would like to mention. First let me mention one that I found particularly provocative, namely the inclusion of a discussion of twenty-fours fairies, their characteristics, and their identification with stars and constellations. I found this to be an exciting and unexpected bit of grimoire lore which is, at the same time, very useful. 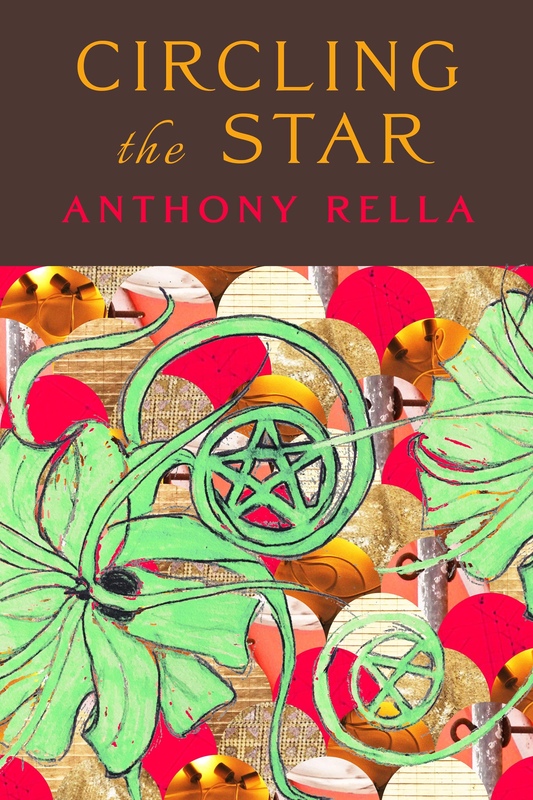 Stratton-Kent also includes an extensive discussion of the 36 astrological decans and their connection to the spirits of the grimoires. There is also a continuation of the effort to clarify and complete the understanding of the spiritual hierarchy begun in The True Grimoire through a careful analysis of the Kings or Chiefs and the almost entirely lost Queens of the grimoire tradition. This involves the rather interesting and complex problem of there seemingly being three different orders of these: a triple rulership of an alchemical or astrological nature along the lines of the alchemical sulfur, mercury, salt; and two quadruplicities overlapping with directions or elements. Finally, the second book of The Testament of Cyprian the Mage ends with the inclusion of the complete fascinating text of the The Testament of Solomon dating from sometime between the 1st and 5th Century C.E. In the course of the full argument of the Encyclopedia Goetica Stratton-Kent points to an interesting and important answer to a rather basic question. There is no chance that Solomon or anyone from his supposed time period wrote the texts on which his name appears (in fact, current archeology suggests Solomon likely never existed at all) nor is it likely that St. Cyprian wrote any of the goetic texts that carry his name. Why, then, do these grimoires carry the names they do? The obvious and common answer is that connection with these names provide an air of tradition and authority to the texts. But there is a deeper answer. A key aspect of goetia as presented by Stratton-Kent is, as discussed, the conjunction with the spirits of past heroes and for a magician past heroes include especially past magicians. For the ancients this might mean identification with Tiresias or one of the Sibyls, but for the later European traditions it meant identification with the named patrons of the grimoires. The various keys of Solomon or works of Saint Cyprian or Abramelin the Mage might be less about authorship and more about the spirit through and with whom the work of the grimoire can be accomplished. Taking the next step in this, we can draw from Stratton-Kent’s books the idea that even the names Solomon and Cyprian are themselves place holders for older goetic magicians and their spiritual patronage. I hope that I have adequately expressed my immense respect for this work and my appreciation of its exceptional importance for both practical occultism and paganism. Despite the extent of this discussion I must stress that I haven’t even scratched the surface of the rich treasures the Encyclopedia Goetica offers the reader. I would like to conclude, however, by raising a question that is equally theological and practical concerning the message and application of Stratton-Kent’s work. This is not a criticism of his work, as he hasn’t directly addressed the point I will raise, but rather seeks to take the next step in considering the import of his work. My question is a simple one, what is the full import of Stratton-Kent’s genealogy of the various demons, spirits, and gods? This question can’t really be answered without asking the metaphysical and theological question concerning the nature of the reality of spirits and gods. 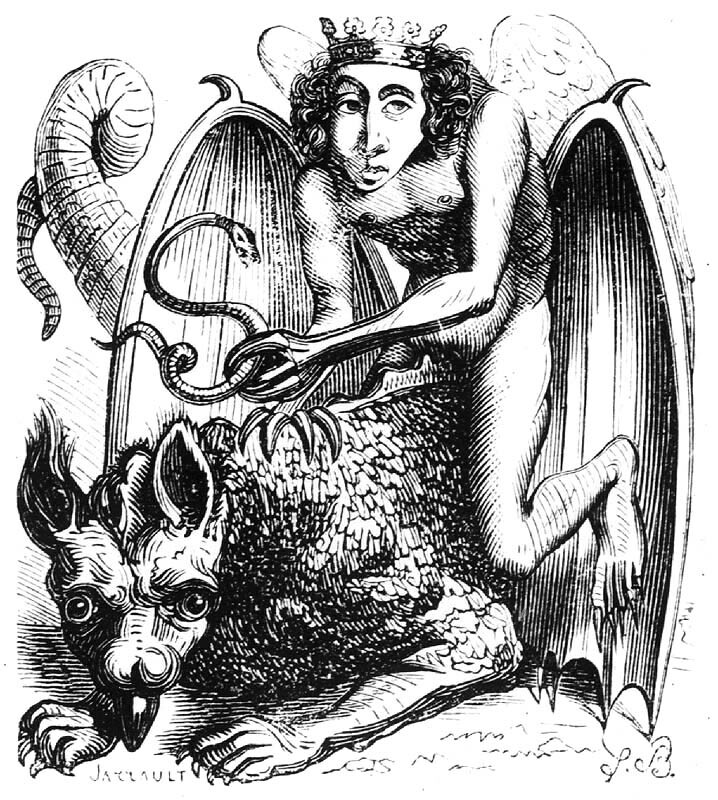 If we are dealing with individual existing personalities with natures and names of their own independent of any human conception then those who have addressed Astaroth as a male demon duke in a monotheist context (as in the image above) have simply been wrong and likely have insulted the powerful entity with which they have been trying to deal. We might not get the sense that a whole lot hangs on this point, but imagine the implication of Michael and Apollo’s identification with the warrior god of plague Reshef. Have the many many people who have addressed Michael as an angel and Apollo as a sun god simply been misaddressing and/or insulting the entity Reshef? Shall we do away with Apollo and Michael both in preference for Reshef? Those who hold to the idea that the gods and spirits are archetypes and/or mental constructs taking on independent power through the investment of the energy of the believer can address this issue easily enough. Archetypes can be understood to “nestle” and undergo evolution and transformation such that the solar Apollo and Michael, the chthonic Apollo and Michael, and Reshef can all co-exist and be worked with individually. Stratton-Kent seems much more to favor a traditional understanding of the spirits as real existing entities independent of human determination, though on this point I may indeed be wrong. From the standpoint of the independent self-determined reality of the spirits we can offer, I feel, three main possible understandings of the message of Stratton-Kent’s work. The first I would call the reductivist response that would indeed say that when dealing with, say, the solar Apollo people have actually always been trying to deal with a chthonic god instead and that this misidentification accounts for any amount of failures on the part of the practitioners. The message, then, is that if one wants success (and, indeed, safety from insulting a powerful and dangerous entity) one had better toe the line and treat Apollo properly. The second understanding might see the different names and natures of the spirits and gods as different roles just as I fill the role of writer, teacher, researcher, practicing magician, husband, friend and so on. In addressing Reshef, the solar Apollo, the chthonic Apollo and so on I am addressing an entity as unknowable as my own one ultimate identity (if such a thing exists) via its various names, titles, roles and so on. This solution, however, seems to cut against the grain of Stratton-Kent’s general tone that many people have gotten the nature of the spirits wrong in various ways. Of course, you could misidentify some of my roles and names but we might wonder how we could know that we had done so on the part of a spirit or god? Perhaps only through experimentation and observation of what gets results. The third answer is, I feel, the most interesting and would be based on the suggestion that the spirits in question have themselves had a role in their own naming and conceptualization. The gods/spirits reveal themselves, and so Apollo has offered us different aspects of his own nature and perhaps even changed on his own part over time. This more seriously raises the question of whether we can be wrong about the gods, or must we take all concepts as derived from them originally? I suppose this conception still leaves open the chance of judging the concept from its practical outcome. This question ultimately raises the issue of the relation of different approaches to the spirits to each other. In other words, how does the historian of the occult and paganism relate to the worshiper/practitioner? Say I have performed rituals to the solar Apollo and had deep and meaningful experiences of Apollo’s solar nature. How am I to take Stratton-Kent’s suggestion that Apollo was originally of a very different nature? Stratton-Kent, of course, occupies both the role of practitioner and historian but let us put that aside of the moment. How is historical knowledge to relate to spiritual revelation? This is, in fact, a conversation I had with a fellow occultist while reading the Encyclopedia Goetica and excitedly explaining Stratton-Kent’s argument about Apollo, Michael and Reshef. My friend responded, rather directly, that it just didn’t match his occult experience and, so to speak, “history be damned”. Once again, it may be that results are to be the arbiter here but they must be personal results since the reports of others are hardly going to be persuasive for me when so hard to verify independently. Personally I will say that despite the short time I have had the Encyclopedia Goetica I have used several of its methods and suggestions with striking and impressive results and I have found the insights it provided invigorating. Practically I have absolutely no criticism. Historically, I have found the argument persuasive and am more convinced than ever that the true Western occult tradition is fundamentally a pagan one in which the grimoires play an essential part. 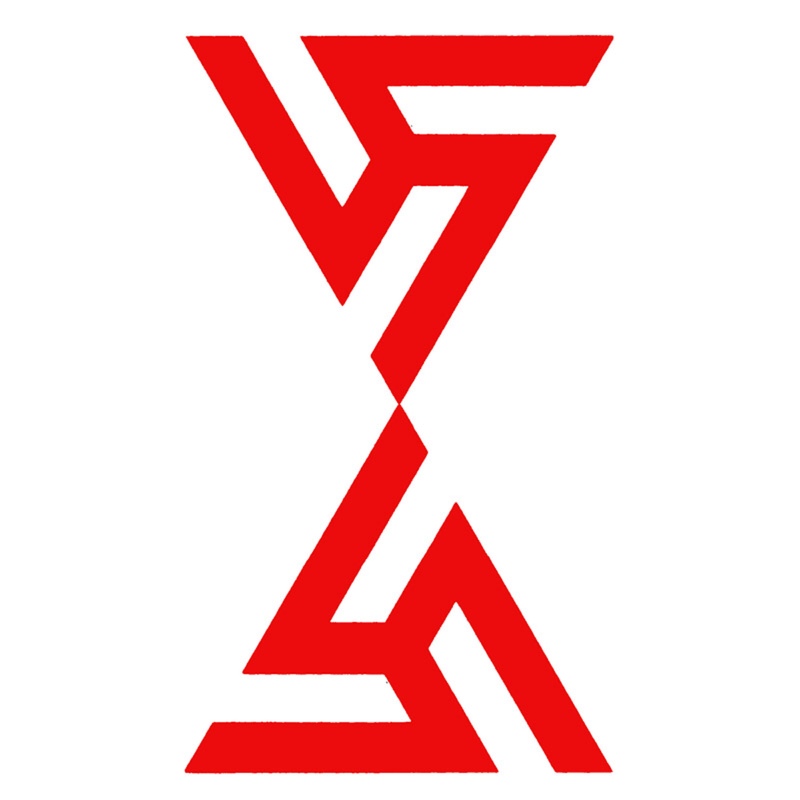 …The main one being the attempted derivation of “Excalibur” from the Chalybes. Nice try, but there’s an obvious line of development and transformation from Fergus mac Roích’s sword Caladbolg (“hard-swelling”–hence the understanding of his loss of his sword as erectile dysfunction! ), to the Welsh Arthur’s Caladfwlch, to Geoffrey of Monmouth’s Caliburnus, to Malory’s Excalibur without theorizing a connection to the Graeco-Anatolian smith daimones. By no means does this in any way undermine the value of the work as-a-whole (nor do my other niggles), or diminish my respect for J.S.-K., but it is worth investigating some of his assertions further on certain points and not accepting all of it as factual or beyond critique (which I know you weren’t, but anyway…!?!). Thanks for this information, I lack the Authurian expertise to offer it myself. I, of course, have some niggles myself – in a work of this size and extent that is pretty much inevitable. The connection of Apollo and Michael to Reshef I talk about, for example, is insufficiently supported though I don’t have a good argument for why it is wrong (and honestly, I would rather it be right). There are also elements of his treatment of Homer and where Homer’s work should be understood to fit into the process/conflicts he is discussing that I have some concerns about (I’ve worked fairly extensively on the transition from an oral to literate culture in Ancient Greece and its implications for understanding Homer, so its sort of a pet topic for me), and so on. However, as none of my niggles really would effect the full sweep of the argument they didn’t seem worth focusing on in comparison to the bigger picture. This is beyond fascinating, I am going to have to read these at the earliest opportunity. Is there any mention of Celtic deities in this material? If not, do you relate your Celtic practices to this material in any way? Sadly there is very little discussion of pagan cultures outside of the Mediterranean and Middle East. There is some overlap, however, in the faery material I mention in the review which is one reason amongst many I found that section so interesting. I certainly am able to connect my practice to these texts, particular through expanding my perspective on the Chthonic side of pagan religion. It seems to me that the Celts were much more Chthonic than otherwise but I am not sure we always appreciate fully this fact. Thinking about the conflict in Greece, for example, between the Olympian and Chthonic can be very helpful here. The references to cthonic magic in the Chamelieres and Larzac inscriptions do seem pretty strong. The Fomoire would also appear to be cthonic entities, but the Tuatha De are harder to interpret- celestial entities who then become cthonic? And if so, does this even relate to the pre-Christian religion or is it only an artifact of the LGE’s syncretic composition process? Much to think about there. I was certainly thinking of the Fomoire but also the entire cycle of the “Mabinogion” which can be read pretty consistently as a continual drama of negotiating with the Underworld. (Consider the story of Bran and, of course, the search for the stolen Mabon himself, and so on.) Of course we face some pretty extreme challenges here because our sources are so frequently fragmentary, corrupted, and syncretic. 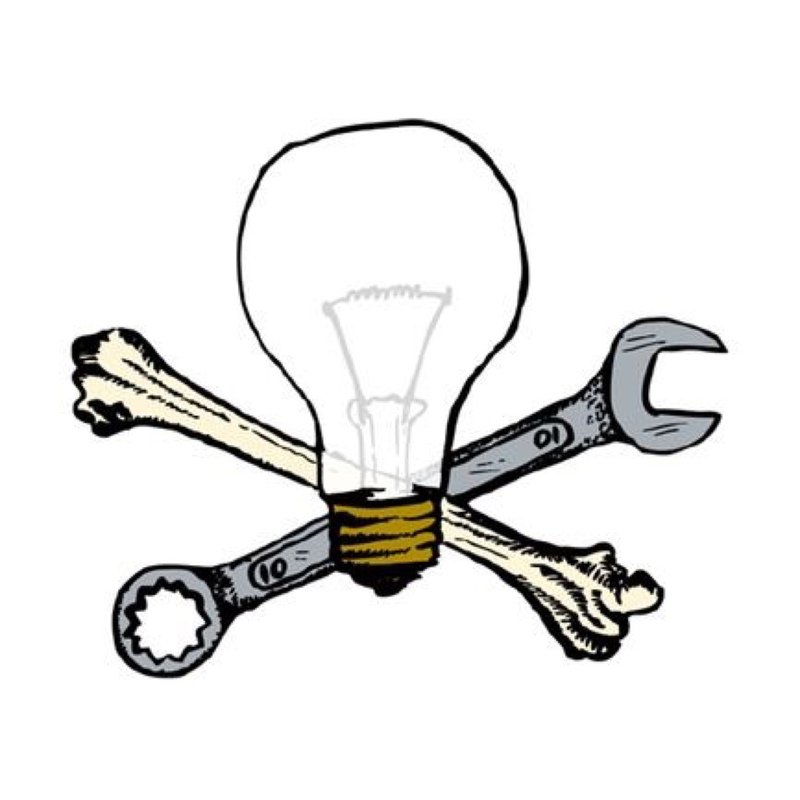 I’ve been working on that for a few years now…Prelims in the form of an article (hopefully in the Clavis journal) should be out within the year, though perhaps sooner…Given this well-timed review and conversation, I may prioritize it over the coming months and see what happens! At this point, my own focus with “Irish gortia” hasn’t been on Deities and fitting them into the schemata so much as identifying practices, even in “debased” forms, in the medieval Irish literary corpus. 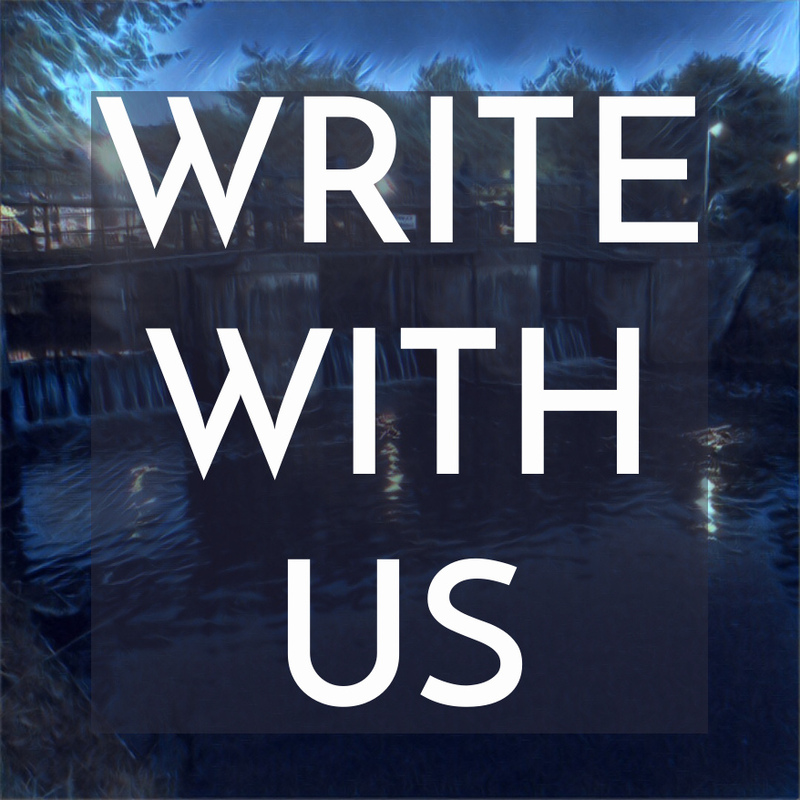 If you’re interested, we can chat about it more privately, if you like. Very much so! You can reach me at gilbride100@hotmail.com. I suspect a focus on practices is the most useful approach for some of this work. What is your reason for sticking more to the Irish rather than including texts like the Mabinogion, Book of Taliesin, etc.? Partially, it’s my own bias: I know the Irish material more intimately and broadly than I do the Welsh, since that was the main focus of my Ph.D. Partially, it’s also a bias of the sources themselves: there’s just so much more Irish material than there is Welsh, and a good bit of the relevant Welsh material is demonstrably derived from the Irish as well (though not without its own quirks, uniquenesses, or importance, mind you!). But, primarily, the practical side is so prominent and easily discernible–if one knows what one is looking for–on the Irish side than the Welsh. All of that being said: the “practical” dimension of this question even with the more obvious Irish stuff is often not so much a practicality of specific hows, it is a practicality of specific ifs. The exact hows are probably long gone no matter what, but that we do have a good list of ifs at least gives somewhere to start, in my view. That makes a lot of sense, I look forward to receiving your email and hearing more about your work! I remembered last night that there is also some pretty interesting discussion of elements of Northern European paganism in the sections dealing with Volcano Magic. This had slipped my mind. But it isn’t Celtic specific. Thanks for that, the review was more than enough to convince to at least buy the first book in the series. The “new and used price” on Amazon was not something I was comfortable with paying. You don’t mention a possibility that was offered to me by an initiate to Hellenismos, which is that the various deities represent means of “stepping down” the power of personalities that are abstract and universal (e.g. – also “known” in this indirect sense to civilizations on other worlds, and perhaps other “planes” of existence). This distancing is desired because direct channeling through undisciplined minds would wreak untold havoc on the earth. This has been offered to me as justification, for example, for the edict that the Hebrew High Priest must marry a virgin. A spouse that brought old jealousy to the relationship would project it through her spouse into the Holy of Holies and wreak havoc among the community. In this framework I would see the shift away from chthonic practices as reflecting a shift in the concerns that focused human will away from death and toward purposeful engagement with the natural world. In other words, it doesn’t say anything about the gods so much as it says something about us. My own focus in reading works such as this has thus been to consider: “What does this revealed history tell us about our own spiritual evolution?” It is through extrapolation from the past that I am able to focus my imagining of the future. I don’t believe that there IS any going back. Even if we’ve abused our privileges, we have to move forward. In fact, I believe that it is in reaching the final goal that we attain the power to call the past into that future. The worm eats its own tail. You are certainly right Brian, I neglected to mention that strategy. Thank you for offering it yourself. One likely reason I overlooked it is because it isn’t an idea I am personally particularly fond of. For metaphysical and theological reasons that go rather far beyond this conversation, I am committed to a paganism or polytheism irreducible to any sort of monism. I’ve argued for parts of this view in my earlier posts here, many of which I believe you are familiar with. Though one could join the view you propose to the strategy of seeing individual (and often contradictory) names and natures of given gods as different “roles” that they play. We can see these roles as aspects of some one divinity, although as I said I don’t personally favor this view. I agree that there is no going back, but I tend to think the future lies in the rediscovery and further development of insights we have lost – frequently near the beginning of recorded history. I don’t tend to see history as overall progressive, you see, but rather progressive in part and destructive in part. Moving forward often involves a return to what has been lost in order to overcome and progress beyond ideas that have run their course and exhausted themselves. I am of the opinion that monotheism (as well as its variations in metaphysics, ethics, and politics) has very much exhausted itself. Kadmus – you offer many important insights here. I see spirituality as the negotiation of the boundaries between the “I” and the “we.” From that perspective, monotheism is the assertion of a human “I” against other forms of personality (flora, fauna, ethereal, etc.). I agree that we have gone too far down that road, and mourn the destruction that has entailed. I believe that reintegration is necessary, but that we will be senior partners in that process where once we had been pawns. Paradoxically, perhaps the biggest step we need to take is to accept that we are not the measure of the evolution we are to facilitate, nor are we the driving force (the amounts of energy involved are enormous). We are simply the seed around which it can be organized. What well thought out review of Jake Stratton-Kent’s work! I’ve read the whole thing cover to cover, and can’t find fault one with what you’ve posted here. Bravo Kadmus, Hat’s off to you. Thank you Vincent, I am somewhat aware of your own involvement with the grimoire revival so I was actually hoping to hear what you thought of the review. I am glad to see you approve. I’ve been quite busy with other projects and my work with Grimoire revival/ Taoist comparison studies has suffered in response. I hope to get back on track in the coming weeks, as I’ve just cut a few pieces of Bamboo, Elder and Willow for staff and Wand creation.I plan on doing two orthodox (by the book, True Grimoire) as well as two unconventional works with a Taoist synthesis, I will send you a link of the work when I post it, if you desire. I would love to see it! What a fascinating idea, combining goetia and Taoism, I am definitely interested in seeing what you post. Looks like a substantive group of texts. Having read most of the original works mentioned in the collection, it is something of a pity that the whole Harranian-Sabaean legacy is overlooked. And if the Harranians are by-passed, then the whole point of Picatrix is undermined. That WAS the ultimate fusion of ancient magic and paganism. If you leave out the celestial imperatives, it isn’t that old time magic. There are perhaps a few dozen individuals who are practicing Arabic-Harranian-style astral magic these days. It isn’t something that can be picked up by reading one book – there’s a huge ancient astrological tradition that’s part & parcel of the magical work, and the basis of those intermediary spirits mentioned above. Spirit lists of angels & demons are a mass of contradictions, bad spelling or misspelling, and incorrect assignments. Old gods get new jobs, but I suspect that spiritual minions stick around for a very long time. It would also be helpful if somebody produced a book with the keys to the Goetic scripts found on some of the older talisman panticles as well. There are some books being translated from the French by Prof Claude Lecouteux on these subjects – perhaps a bit more accessible and less expensive. Thanks for these insights Elizabeth. Stratton-Kent does indeed discuss the Sabaean role rather prominently when dealing with the Picatrix. So he, at least, is certainly not overlooking them. Could you say a bit more about which old talisman’s you have in mind in reference to the Goetic scripts? Pingback: Lengthy Review of “Encyclopedia Goetica” - A Blog on Magick, Culture, and Freedom managed by members of the Ordo Templi Orientis. I picked up a copy of The True Grimoire after reading this. I’ve only made through the first bit of it so far, but I have to say I’m a bit troubled by how the text seems to cast both spirits and Gods in such a subservient role. I’ll keep reading, however, and see where the journey leads.